Play Protect is just a rebrand of existing security ⚠ features long found in Play Services, but is now more prominent and visible within Android. Compared to the older interface, Play Protect is much more friendly 💪​ and provides better piece of mind for users. 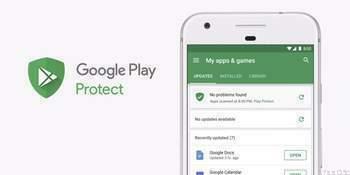 Meanwhile, the Play Protect page – that was previously buried in Play Services – also appears as a shortcut in the navigation drawer of the Play Store.